I consider myself to be an agent whose experience in the real estate profession is only matched by the unparalleled service I provide to my clients. 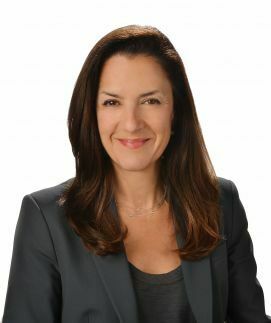 With intimate knowledge of the local markets in Santa Monica, Pacific Palisades, Brentwood, Venice, Marina del Rey, Westwood and surrounding areas, I work tirelessly to help buyers and sellers realize their real estate dreams. Born and raised in Brentwood, I currently live in Santa Monica where my husband and I are raising our daughter. Being a rare native Southern Californian gives me a unique understanding of the area, including school systems, the wide variety of neighborhoods, where to shop, how to navigate the city and so much more. I am an expert on the Westside as well as the surrounding cities. I have established a solid reputation among both clients and fellow real estate agents for personal service, powerful marketing strategies, strong negotiating skills, and record breaking sales since becoming a REALTOR®. My fun loving, energetic approach to service is infectious, and has been a driving force behind my success. I believe building strong relationships and good communication with my clients and other agents keeps my real estate transactions positive and reduces the stress of the escrow process for everyone involved. The most rewarding thing about this business for me is to stay in contact with past clients. I take pride in the fact that the majority of my business comes from repeat clients and referrals. I love when clients call to tell me what they're doing with their properties, or because they have outgrown their home and are ready for the next one. This kind of on-going relationship is not only rewarding, but fuels my passion for real estate. I maintain a vigilant watch on the real estate market, keeping an eye on the ever changing real estate trends in order to educate my clients and the community on what to expect as the market fluctuates from day to day, week to week, year to year. I bring this educated real estate expertise into play as a listing agent with my extensive marketing plans, giving homeowners the opportunity to get the maximum value for their property. With buyers, be it their first time in the market or seasoned veterans, I search until I find the perfect property. I guide them through the negotiation process, securing the best possible price and terms. Nothing satisfies me more than seeing the smiles that come with a successful sale or purchase.